The Ferrum Table exhibits the same characteristics of its matching sibling with a beautifully-crafted 2cm thick Elm wood table top with lustrous dark woody tones. 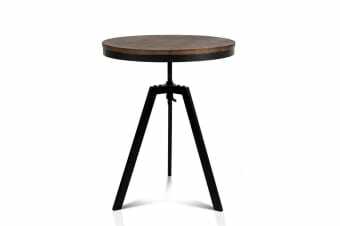 Its near 60cm diameter also makes it a perfect set up for a corner coffee table or an entry decor. 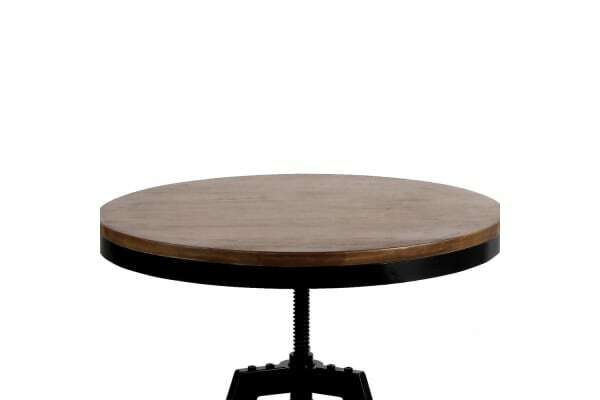 The Ferrum Table is that it is totally height adjustable to suit a variety of decor settings with the industrial-inspired screw thread adjustor integrated into the reinforced steel frame. 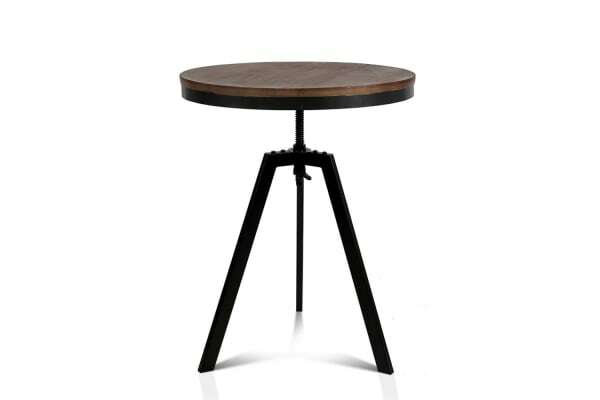 Standing firm with its heavy-duty fixings and tripod legs, the Ferrum Table certainly looks the part in conveying a tough and yet eclectic presence that has designer appeal written all over it.